An unfinished novel. Archie Weir, is a young boy with a Romantic sensibility and sensitivity. 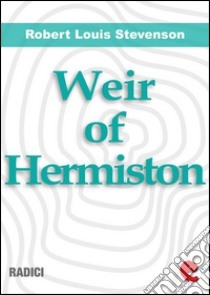 The death of his mother exacerbates the contrast with the father who will banish him from his family and send to the family's property in the nearby Hermiston. Here the guy will meet and fall in love with Kirstie.